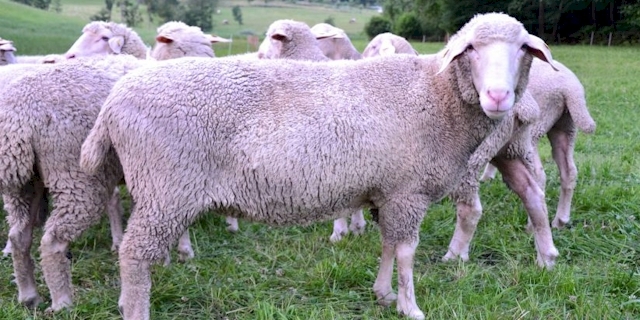 Merino Landschaf, also known as Wurttemberger, sheep are a German variety of Merino. They constitute about 30% of the sheep population in Germany and are the most common commercial breed. They descend from Merino sheep first brought to Saxony in 1765.